I don’t hide my North West England roots, and take opportunity to bring my learning from people I met from working there to my role in Scotland. One of these is the profound insight I gained into homelessness through one of the Academy projects I sponsored, the charity Streetlife, and the experiences of colleagues during the BigSleepOut 2018 in Blackpool. Choosing to sleep out on the streets of Blackpool for a night in March this year is exactly what colleagues Andrew Barker and Linda Astley did to raise awareness of homelessness. Andrew simply sums the experience up as “very different to anything I had done before. A far thing from being truly homeless – but raised my understanding of the issues some people face”. Reflecting on her night Linda comments “Most of us are extremely fortunate & would never choose to live a life on the streets. So if there is a little something we can do to help it’s got to be a good thing”. Between them they raised over £1500 for the charity, to help with their work to eradicate homelessness for the young people of Blackpool. So Civil Servants of Scotland, how about it? Inspired by hearing from Social-Bite co-founder Josh Littlejohn and his campaign to end homelessness in Scotland for good, we’re challengi ng you to do your bit. 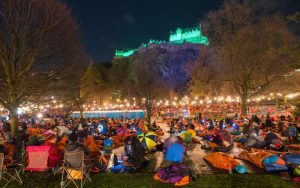 Social-Bite’s Sleep in the Park is a nationwide sleep out in Aberdeen, Dundee, Edinburgh and Glasgow, simultaneously on 8thDecember 2018. The aim is to get 12,000 people across the 4 locations, the data-geek in me knows that we have over 12,000 Civil Servants in those 4 locations (12,010 to be exact! ), now I am not expecting everyone to do it, but it would be good to have a CS Local Scotland contingent at each one, and connect our Departments up whilst being part of something amazing. Our very own Sonia Preston will be taking part in Dundee, so either sign-up to join Sonia in Dundee, or start the Civil Service teams in the other locations. What’s one night without your home comforts? To find out more and register for you nearest event visit www.sleepinthepark.co.uk, and also drop Sonia an email to let her know (Sonia.preston@cabinetoffice.gov.uk) so we can capture your stories, connect you with colleagues for the evening, and highlight more of your amazing efforts as we get to the end of 2018. Can't do it, but want to help? Find a colleague who is doing it and help them reach their fundraising target. Still not sure – watch some of the highlights from last year: https://vimeo.com/246949595. I’ll just leave it there. Hi Andrew, love Social Bite ethos (and their soup!) 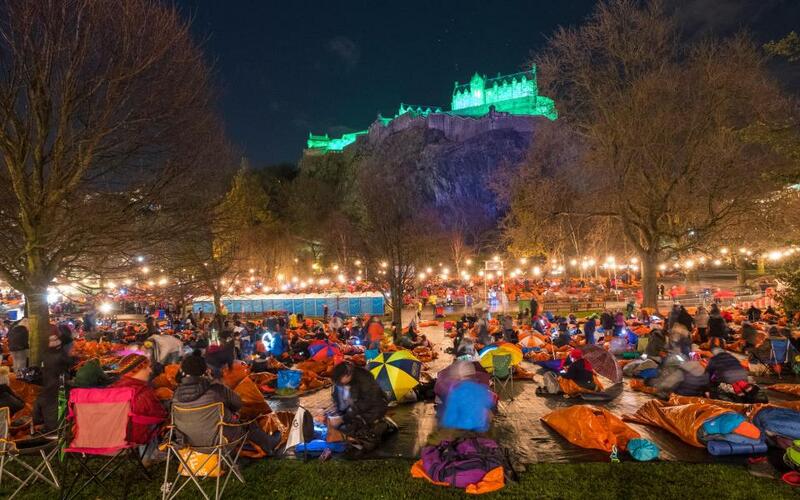 and our very own Mandy Loughlin participated in this extremely supportive(and freezing) Edinburgh event last year and is already signed up again which has inspired others to participate within HMPO . Good shout! Great stuff Mandy - so that's you in Edinburgh, Sonia in Dundee.......any Civil Servants taking part in Glasgow or Aberdeen....if not, do you fancy it?